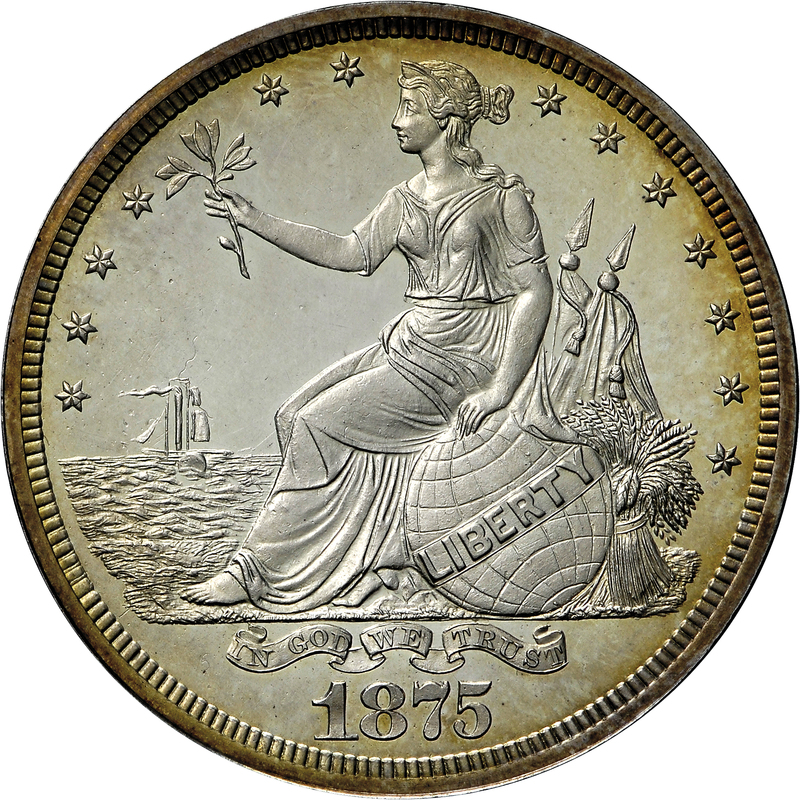 A lovely Proof example combining the popular seashore obverse design with the commercial dollar reverse introduced in 1871, this example is the Judd plate coin and traces its pedigree to the fabulous William H. Woodin Collection, later acquired by numismatic notables Waldo Newcomer and F.C.C. Boyd. 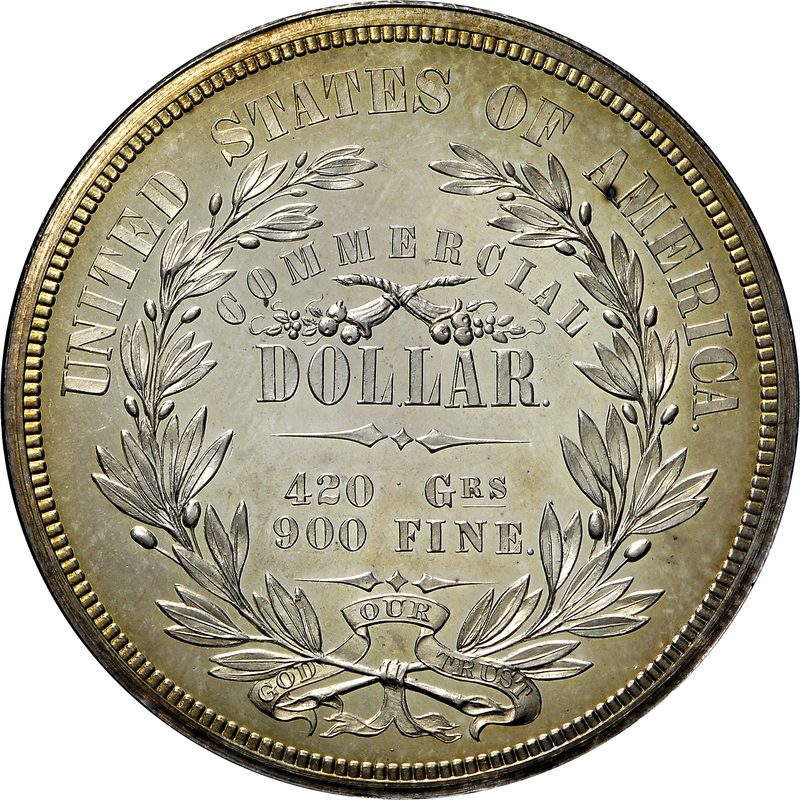 Harry Bass purchased this lovely pattern from Florida coin dealer Sidney W. Smith in 1971. Just five examples are known. 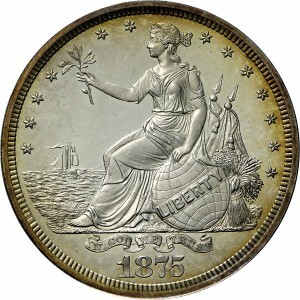 Purchased from Sidney W. Smith, September 23, 1971. 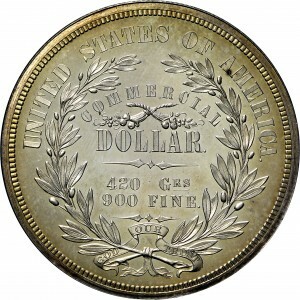 UNITED STATES OF AMERICA arcs above a laurel wreath, COMMERCIAL DOLLAR 420 GRS. 900 FINE on four lines within wreath, ribbon at bottom of wreath reads GOD OUR TRUST.